At the Frankfurt Motor Show 2015, Mercedes Benz rolled the dices with its all new Mercedes Benz S Class Cabriolet 2016. The convertible luxury car not only offers you supreme looks and comfortable interior but also saves your pennies with its fuel efficient engine. Let us have a look at the review of Mercedes Benz S Class Cabriolet 2016 to know more about it. The interior of Mercedes Benz S Class Cabriolet 2016 comes drenched in high-end materials as we recently noticed in the coupe version. Offering superb aerodynamics and drag coefficient the roof consists of three layers in all. Not only this it also has AIRCAP automatic wind protection system and includes wind deflectors and diffuser ribs. Talking more about features inside the model, we have a huge list that includes the Climate control system, which works automatically with the help of 12 sensors and 18 actuators. There is also a dewpoint sensor and as the name suggests it helps in preventing the accumulation of fog over the windscreen. 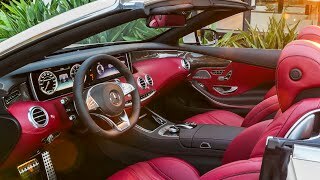 Rounding up the entire interior details of Mercedes Benz S Class Cabriolet 2016 I would just say it has numerous features that won’t just make it stand apart from the rest in segment but also make you have a comfortable and safe ride. 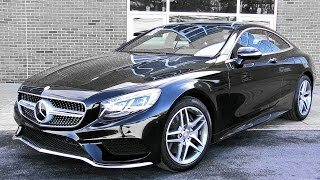 The exterior of Mercedes Benz S Class Cabriolet 2016 is identical to that of Coupe; however the only difference that stands primarily is the hard top being replaced by a soft removable top. It takes around 20 seconds for the top to open and close and the process can be executed with the car being till the speed of 60 kmph. Once folded the top finds its house in the luggage compartment. Apart from this rest all remains just the same, be it the LED Intelligent light system or the LED taillights. 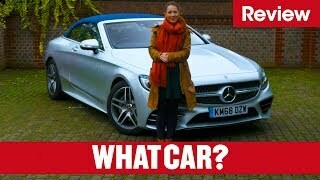 Thus rounding up the exterior details of Mercedes Benz S Class Cabriolet 2016 I would say, for those who have been in Coupe there isn’t much of treasure here apart from the open fresh air. Beneath the hood of Mercedes Benz S Class Cabriolet 2016 is a 4.7 liter V8 engine generating total output of 455 hp and peak torque of 700 nm paired to 9G-TRONIC nine-speed automatic transmission. The performance figures of Mercedes Benz S Class Cabriolet 2016 are not yet revealed but we expect to have them very soon and assure you to share them with the same pace.